There is an elderly couple and both of them are suffering from Alzheimer's. This film is about an ordinary family and it zooms in on the touching story of the elderly couple. It makes you think about the true values of family and the unconditional dream and desire of the couple. It's the new movie "Romang." 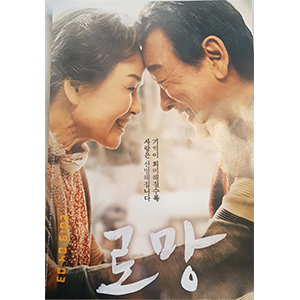 Actress Lee Chung-ah is back with the new film "Spring, Again" which sheds light on how precious life is through the theme of traveling back in time. She is loved for showing her sincere qualities through her acting on the big and small screens so we wish Lee Chung-ah unconditional love and support for her future endeavors!